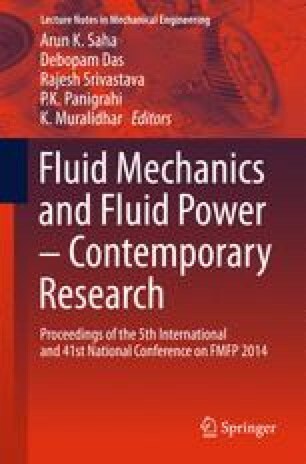 Numerical solution of governing equations of two-phase immiscible flow in porous media is presented. The mathematical equations are built by combining the conservation of mass with Darcys law which describes fluid flow through porous media. The resulting partial differential equations were solved using Implicit Pressure and Explicit Saturation method (IMPES). We have implemented the IMPES method in open source CFD toolbox OpenFOAM, which uses finite volume method to solve PDEs. The underlying advantage of using general purpose CFD solver for reservoir simulation is the possible extension of simulation technique to enhanced oil recovery methods involving simultaneous fluid flow, heat transfer, mass transfer and chemical reactions. Simulations were carried out for water displacing oil in homogeneous as well as heterogeneous reservoirs. The simulation method was validated by comparing the results with analytical solution and numerical solution of Matlab Reservoir Simulation Toolbox (MRST). The displacement efficiency and water breakthrough of various flooding patterns were evaluated.